This Vegan Almond Rose Chai Tea Latte sweetened with only maple syrup is genuinely one of the tastiest things I have ever created. It is SO good. The hints of almond, rose, and maple paired with traditional chai spice flavors like cinnamon and cardamom truly makes for one ridiculously delicious, healthy, and comforting beverage! It’s a wee bit on the enchanting side and despite the caffeine, it is super soothing and borders on being more of a moon milk (in my humble opinion)! As you can see, they are not only beautiful but GOOD for you as well! The addition of almond butter in this recipe is what gives it depth, adds a bit of earthiness and protein-power AND make it super creamy, frothy and nourishing. 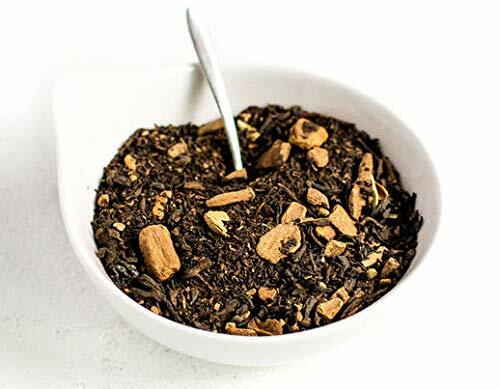 And, if you’re in the mood to try a new loose leaf chai tea, my favorite chai tea is from Mother’s Kitchen Essentials and they gave me an exclusive 10% off coupon code for you to use: ‘moonspoonyum’. This organic chai tea blend has a super delicious balance of spices! I’ve now made this several times as I was blow away by the flavor combo (and the effects that I felt!). If you are looking for an enchanting brew to try, look no further. This magical elixir will soothe you inside and out & more. Enjoy. xo. A super nourishing, comforting, healthy and delicious Vegan Almond Chai Tea Latte packed with flavor and wonderful health benefits! In a sauce pan over medium-high heat bring almond milk to a high simmer.Turn off heat, stir in loose leaf chai and rose petals. Cover and let sit for 5 minutes.When 5 minutes are up, strain the tea into a blender (I simply use a thin washcloth, but a nut milk bag or fine mesh strainer will work, too. 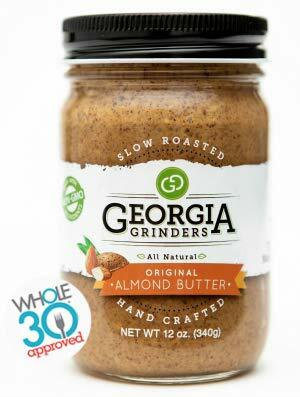 )Add almond butter, maple syrup and salt to blender. Blend on high only 10-15 seconds, or until it is super creamy and frothy! (always be careful blending warm/hot beverages, let cool until decent temperature before blending, keep your face away and keep one hand securely on top of lid! 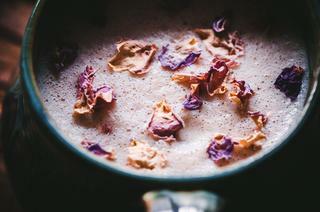 ).Pour into mugs, optionally garnish with more rose petals, and most of all -- enjoy!